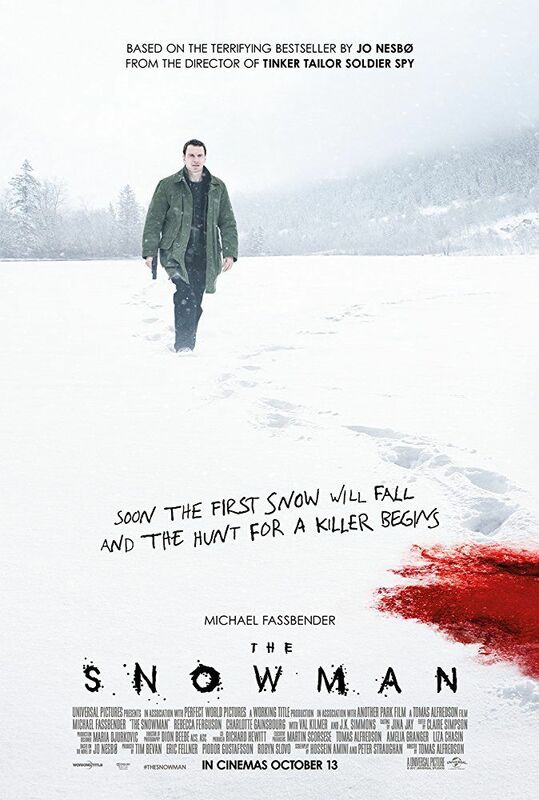 When Harry Hole, an elite crime squad’s lead detective (Fassbender), investigates the disappearance of a victim on the first snow of winter, he fears an elusive serial killer nicknamed "The Snowman" may be active again. With the help of a brilliant recruit (Ferguson), the detective must connect decades-old cold cases to the brutal new one if he hopes to outwit this unthinkable evil before the next snowfall. Read more on Wikipedia.